I would like to preface with saying I know I am only a first-year medical student and I know very little when it comes to financial topics and investments. One thing I do know and understand is how to not lose money. I obsess over not losing money in everything that I do. This does not mean I don’t spend money on things I want or need, but it means I do everything in my power to use my money wisely and not accrue debt. This tends to be one of the biggest issues a college and medical student can and should focus on. I want to share my story and hopefully, to inspire others to work hard during their undergraduate careers. I figure I can either sacrifice and work hard while I am young, or live a difficult life in the future. I don’t come from a wealthy family by any means and I married young. I am pretty sure the day we got married, my wife and I had a collective bank account of about $1000. The future was scary and exciting, but I had a vision for where I wanted my life to go. My two main goals once I began college were to graduate debt free and enter medical school. SCHOOL IS EXPENSIVE and I was terrified of debt. I wanted nothing to do with student loans. Despite being told by many people that beginning in community college would basically ruin all chances of entering medical school, I figured going into debt for the same type of education was beyond stupid. I did not have the financial means to enter a university and pay for it without student loans. Beginning with community college ultimately was the best decision I made. Don’t get me wrong, I had to work awfully hard in order to stand out, but every second of volunteering, studying, and participating in extracurricular events set me apart as a scholarship applicant, as well as a medical school applicant. Grades throughout my undergrad were a steady 4.0 GPA. I did not want to give anyone an excuse as to why I was not a qualified student and medical school prospect. This hard work translated to over 35 scholarships totaling over $300,000 that fully paid for my undergraduate degree and living expenses. At a certain dollar amount, I hit a cap and was not allowed to receive any more funding, but the connections I made through these scholarships put me on a new level. 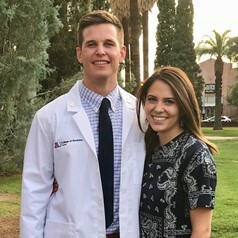 1st-year med student, Jacob Sorenson with his wife Megan. I am now an allopathic medical school student at my state school. I ultimately chose this school because of the great education and experiences I would receive, and also the attractive in-state tuition was hard to overlook. I had scanned over the match lists from previous years and saw that students went to top residency programs on a yearly basis and that I would not be at a disadvantage going to a school that is ranked in the middle on the U.S. News and World Report. Again, it made no sense to go to a private school or pay out-of-state tuition if I had all the opportunity in the world at my state school. To top it off, my wife was offered a job at the university I will attend and I now am eligible to receive spousal benefits. This knocks down my tuition from nearly $32,000 a year, to only a few hundred dollars in lab fees! I also was offered a graduate scholarship from the Jack Kent Cooke Foundation that grants me $75,000 for the four years (and, granted me $40,000 a year for my undergraduate degree), along with other minor scholarships. If we live and plan correctly, we will come out making a few thousand dollars each year, rather than taking out tens of thousands of dollars each year in student loans. We can potentially graduate DEBT FREE FROM MEDICAL SCHOOL. I am not an outlier. I am an average student who happened to work extremely hard and smart. I honestly believe and know that if you want to graduate debt free, there are vast amounts of resources at your school and online. Research what scholarships are available locally, at your school, and nationally. You can do it! Don’t be afraid to begin at a community college if that helps you graduate debt free. The myth that you cannot enter a great medical school is merely a myth. I believe it is also easier to stand out in community college, but it does take work. That leads me to my next point. 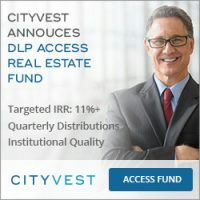 I know here at the White Coat Investor it has been pointed out, but it is a true statement. You will not be at a disadvantage going to your state school for in-state tuition. If you are worried about two schools, look up their match list, I can almost guarantee people have matched at phenomenal residency programs in-state. Another physician mentor of mine told me, “In today’s world, it does not take much to stand out.” The truth to this statement is so blatantly obvious to me now, but I never realized it until he said it. A little work goes a long way and those that put in the time and effort now are guaranteed a reward later. This does not mean saving every penny you ever earn. One of my dear mentors, a highly successful physician who created an entire healthcare company once told me, “Do not live a life that puts a burden on your wife.” At one point, I tried to save everything we had without enjoying the life we were creating. Don’t do what I did, but also don’t spend money on unnecessary items. Have fun! I know, I know, how cliché of a comment can this be? But I have lived a fulfilling and happy life throughout the last four years, even with the hours of work it took to attain what I have today. I played video games, golfed every now and then, won softball championships, hiked on almost a weekly basis with my wife and golden retriever, and frugally traveled to many places in the world. There is a balance in which you can reap the rewards of your hard work and also live life to the fullest. The future implications of graduating debt free go much farther than the surface level of not stressing about loans to pay off. I now have a worry-free education where I can choose a specialty of my choice not based on average salary. Too many students go into hundreds of thousands of dollars of debt and sometimes choose to go into a specialty that they may not love, but enter in order to make more money. Also, from the day I enter residency, I will be able to finally start saving and investing. 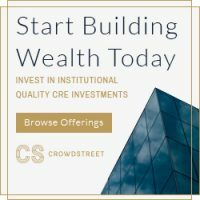 Based on the principles and information from The White Coat Investor and other financial resources, I have a solid foundation on how to become financially successful. My two main goals as a fresh college student were to enter medical school and graduate my undergrad with zero debt. I never imagined I would be able to graduate medical school without a dollar in student loans. You never know what will come of the hard work you put in now! Be smart from the beginning. Have that vision for where you want to go. Then go out there and get it. I hope this post helps students to make the decisions early in life to be financially free from the beginning. You may be in a completely different situation, but I expect that you use this article as an inspiration to graduate debt free in your own way. It is possible no matter where you are from, how much money you have, or what obstacles you face. What do you think? Do you think it’s possible for most docs to graduate from medical school debt free? What advice do you have for finding scholarships? Did you (or others you know) attend a community college before acceptance into medical school? Comment below! Jacob, you and your wife did a wonderful job of working hard and taking advantage of every opportunity you have been granted. You should be commended for that. I would caution you to think “anyone can do this.” I know a lot (I mean A LOT) of people who work really hard and cannot gain admission into medical school at all. There is another large portion of people who get accepted to one or two medical schools off the wait list. These people then have to choose between becoming a physician with a high debt burden or not becoming one at all. In fact, this was my situation when I started medical school. If you have a choice – like you did – then choosing the road you chose is a wonderful example. But don’t lose site of the fact that your road is not common nor was it easy. There is a reason that the average medical student debt burden is $200,000. Part of that is bad choices, but a significantly larger part is due to not having a choice at all other than to not become a physician. Not everyone is given the same chances, and when we forget that it puts us in a place of losing our compassion for people who walked a different road to get to where we are. (And this is all coming from someone who had a full-ride in undergrad and ended up getting a full-tuition scholarship in medical school after I started). Congratulations on your accomplishment and for this post. I love your point about community college being ok and going to state schools. It definitely lessens the burden. You can even go to community college for a year or two for the basic courses and then transfer to a more prestigious university for the next couple to get the more advanced courses. That way you can have the best of both worlds- a prestigious diploma at a fraction of the cost. As far as choice of med school, the name of your school may matter more if you were planning on going into academics at a high level, but for an average community doc, it doesn’t matter much. Agree with TPP above that everyone may not be eligible to apply for your scholarship or others, but I appreciate your attempt to set an example to create a mindset change. I never imagined there were private scholarships out there that would pay you to go to medical school. Sometimes we need to think outside the box. I was able to get out of undergrad debt free with scholarships too. Congrats on the hard work! The basics of this post are solid… except I don’t know many people who can get $128,000 (plus interest) in medical school tuition waived just by being married. That’s QUITE the perk. I would argue that most people CAN’T get that perk. It sounds essentially like winning the lottery to me. That one isn’t all that uncommon. My local medical school offers half tuition waiver (although the waived portion is taxable) to immediate family members of employees. Jacob it is amazing that you have figured this all out at such a young age/early part of your career. 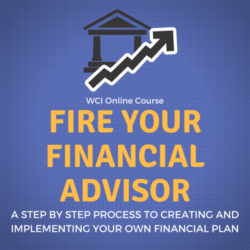 You have not only correctly identified problem areas but you have also taken actions to implement a financial situation that counters them. Your achievements thus far cannot be emphasized enough. Many doctors decades older than you have still yet to figure this out. You truly have given yourself a huge boost financially and emotionally and graduating with a medical degree and being debt free without any obligations whatsoever will allow you to practice medicine in a way you want. You mentioned that you will not be tied down to a certain specialty because of it and that is just the tip of the iceberg. Congratulations on getting such a great head start to your medical career. I am glad you found out about finances so early on. I honestly was around 40 yrs old before the finance bug bit me. The world is truly your oyster now and I have no doubt you will make the best of it. It is encouraging to see that the work of WCI and others is having a positive impact on the next generation of physicians. Too many current physicians are saddled with oppressive debt loads that they can’t seem to shed. You will love your job more than any of them because you won’t be enslaved by it. 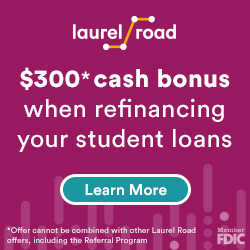 Its great to see someone this early in their career being aware of their finances, too many students just blindly take out loans without thinking of the repercussions down the road. But there are a few items here to debate I think. As someone that sits on an admissions committee, I very much disagree with points #3 and #5. If your goal is to get into medical school, going to community college to save some money is absolutely terrible advice. Our admissions committee is flooded with high performing students with extensive extra curricular activities, some with research experience rivaling my own. You seriously think going to community college won’t hurt your application compared to others? Which brings me to my other point, “it doesn’t take much to stand out” is laughable. Seriously you should see these applications. I think the author is underestimating his own success and the work it took to get there, or perhaps he is just naturally talented and his success has come easily for him. Either way he deserves congratulations, but the idea of “anyone can do it” ignores that fact that every time he got a scholarship, every time he got an acceptance letter to medical school, even when his wife got the job at his school, they were beating out thousands of other applicants to do so. In retrospect, I think most of my med school classmates were from 4 year universities, but at that point, everyone is finishing at a 4 year college. I guess there are some academic advantages to starting out at a 4-year college like research opportunities (aka helping a professor get tenure) and some established pre-med advisor. I ended up at a 4 year college because it gave me the most money, but I wouldn’t have hesitated going to CC if that ended up being my best option. Our pre-med advisor was pretty incompetent and eventually let go. The applicant can still volunteer and shadow as much as a student from a 4-year college. I think a previous forum post highlighted how a lot of medical school admission and navigating the process is entirely on the applicant. This guy paved his own road and still got to the finish line. I think I might be less impressed with an A in inorganic chemistry from a community college over the state university. But I wonder how many admissions committees dive that deep into the transcript. Fantastic! Work hard and get rewarded. I know several people who went to community college prior to medical school. I think success totally depends on the student. Of course if you have 2 similar students and one goes to a prestigious school he will look the better applicant. But that is not the scenario. We are talking about a student who excelled greatly and that can make up for school name. You just have to shine that much brighter. Remember to help those who helped you. Scholarships are like loans that you do not have to legally pay back but morally should so the same opportunity exists for future students. You will be in a great position to do some good. Don’t miss that opportunity. Jacob, thanks for sharing and congratulations. In my peer group, I know of no one who received 100% merit-based scholarships. We all had excellent grades, clubs, research, and volunteer work. (Granted, this was back when scholarship info was found in books or a handout from the school counselor. And you had to use a typewriter to fill in forms and stamps to submit applications.) Also wanted to point out that not everyone got into med school. Not many merit based scholarships for medical school. The writer is continuing to benefit from a merit/need-based scholarship that he won in high school, which is great. But the majority of the financial support is coming from marrying a person who works for the University, which is subsidizing his tuition. In a way, it is true that anyone can go and do that. So have your spouse work at your medical school and get a scholarship for $200k+? Great, they give those out like candy. I agree. I am sure this post was well intentioned but it does come across as condescending when you say anyone can do it. I’m not sure what that means. Everyone else is so mediocre? Particularly among medical students? Medical students that get loans to finance education just didn’t put in the work for scholarships or were too generic? Congratulations on your good fortune and I am glad you are trying to share; just keep in mind the heterogeneity in circumstances. Congrats on all of your success! A great story with a lot of important points. While I believe in all that you are saying, I find it hard to imagine graduating debt free. I too am just beginning medical school and while I have no debt lingering from my undergraduate years, it will be virtually impossible for me to not accept loans to help fund my medical school education and I have had limited luck in finding scholarships. I did not get into a state school unfortunately, so my tuition will be much higher. With this said, your point about the importance of standing out is one in which I agree with completely. Perhaps with this type of mindset, other students (such as myself) CAN earn some scholarships downs the line. I also agree on the importance of enjoying the process and making sure to continue to do things you love throughout your hard work. Thanks for the post and best of luck in your bright future. Hey there! Figured I would jump in because there are some great points here from you and others. This was more of an article written to future applicants and to share my story. It’s extremely hard to get any scholarship amount at the medical school level. It is possible, but difficult. Also, just to address other points. Although my circumstance is unique, I wrote it more as motivation for others to know it’s possible. I think it’s too easy to say screw it, I’ll go into debt from day one of college instead of looking for opportunities, which there are many. It looks like people missed that point, but I probably wasn’t as clear as I could’ve been! And good luck with everything! Thanks for your comment. I certainly see what you’re saying and applaud you for taking the time to write the post. It’s not easy to do and I think you make some great points that benefit younger students (like myself). I’ve shared the post with some of friends who have yet to apply as motivation for them to work hard, persist, and stay positive. I think there are about two lines in there that kind of triggered the mildly negative comments. I saw them before publication and thought about editing them a bit before this ran (to save you this grief) but I chose to go diving instead. Sorry! Congrats on your success getting scholarships (I agree they’re not quite as easy to get as you make it sound) but you’re doing a great job of at least looking outside the box of just borrowing all the money like too many students do. The actual number is about 1/4. 27% I think the last time I looked at AAMC data. This should be #1 on how to do this. Not paying any tuition is a big help on graduating without any tuition related (or “student”) debt. And even if you get tuition waived somehow, if you don’t have any money coming in or enough savings to tide you over for 4 years of living expenses (plus expenses related to applying to residency and possibly moving for residency), you’re going to need loans just to pay rent and eat. The cool thing about sending a spouse to work for the university whose medical school you’re attending is not only do you get rid of the loans for tuition (or more often partial tuition) but you also get rid of the loans for living expenses because the spouse is also making a salary. It’s a great “technique” that I see used often, including in my own class. If your spouse does anything that could also be done for a university (nursing, teaching, janitorial services whatever) and your university offers this benefit, why not at least apply for a job? This is commendable and impressive, but as others have said I think this is a lot harder to do than the author thinks. More generalizable is what the WCI has been advocating for years. Live like a resident for the first few years out of residency. I’m in my first year out of residency in EM and have minimally increased my monthly spending. With the rest going to retirement accounts and loans, I should be through my modest loans of 140K in 16 months. Here’s my alternative view. Unless you take the lowest paid physician jobs, take an obscene amount loans or live in a super high cost of living area this amount of debt is easily managed on a physician salary. I lived well for 4 years through medical school on on debt. All I had to “pay” for this privilege is deferring investments in taxable accounts for one year and continue my already comfortable lifestyle of not buying things I don’t need but travelling as much or as little as I please. Impressive. Great job! I couldn’t have said it better myself. Great advice on scholarships to future applicants. However many universities will remove their own aid for every outside dollar provided. Bucknell did this, which was a disincentive to seek out aid cause I was already receiving a near full scholarship. Maaaaaaybe shoulda ended the post before the “be married to a medical school employee with tuition benefits” part of the post. Good for you! But not exactly typical or realistic. That’s a crummy policy. Shame on Bucknell. Kind of an enormous disconnect with reality in some ways. “it doesn’t take much to stand out” is just absurd, and “anyone can do this” is close behind. I’m guessing the author was trying to be self deprecating or something along that line, but unfortunately it didn’t come across that way. I commend the author on his goal, but would caution others in this pursuit. I was in a similar situation choosing between something of a free ride from my state institution vs very expensive private medical school. Despite the difference in cost, I ultimately chose the more expensive option. I do not regret this decision. I ended up with 200k+ in loans with a goal of net zero in my first year in practice. I am now 4 months into my first year of practice and am 1 pay check away from net zero. I lived like a med student in residency, like a resident as a fellow and live like a fellow now and for the foreseeable future. I chose a competitive subspecialty (orthopaedics) and was able to match at a tier 1 residency program of my choice and subsequent fellowship (spine). These decisions ultimately opened the door to my current job which I am certain would not have been achievable even as an honors student at my state allopathic medical school. While my subspecialty choices and geographic / practice considerations allow this to be a more viable option, choice is perhaps the most valuable of all commodities, even beyond graduating med school debt free. That’s a rare opinion. Most of the time I hear from people who were very glad to go to their cheapest option. Thanks for sharing. I’m sure you’re convinced that you couldn’t have done it another way, but there’s has to at least be some confirmation bias there. Top students at state schools get into prestigious residencies all the time. You can see years of match lists to prove it. Having said that, I also think there there can be value to going to a more prestigious school. I think that if you’re an average to below average student, you’re way better off at the prestigious place and will likely have greater opportunities. However if you are really smart, hard-working, and way above average, then you’ll probably have similar opportunities available no matter where you go. M1 in Arkansas here, consistently looking for scholarships to avoid debt as much as possible. Anyone know of any private scholarships? I have won two ($500 each) this year and am consistently searching and hoping to win more to counteract some debt. Any help welcome. 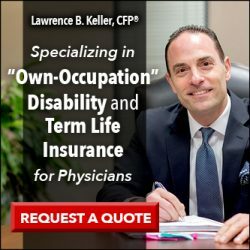 Great post explaining how you will come out of med school debt free. However, I have to disagree that anybody can do what you did and that it’s not hard to stand out. You seem like you are the absolute cream of the crop and I don’t think you understand how unique your situation is. I don’t think I have ever met anyone that has received 35 scholarships amounting to $300k. Also, it is very smart to take advantage of the tuition discount because your wife is a university employee, but this is just not an option for many medical students; single students would be the most obvious example. I kind of felt while reading this that it was as if you had won the lottery and were trying to convince everyone that anyone that REALLY wanted to win it could do that too (of course, in your real life situation you worked like crazy for your scholarships and were not awarded them by simple luck). The problem with saying anyone can do it is that scholarships are a limited commodity and are only awarded to those that stand out in one way or another. Standing out IS very hard work and so your advice is fantastic for the fraction of students that are granted those scholarships but inapplicable to most med students. I had a 3.9 GPA, went to a state school, was granted a few scholarships (maybe amounting to $2-3k), graduated AOA (top 10%), had a wife that worked while I was in school, lived frugally, sold a condo for $30k profit before residency, and still ended up with about $80k in med school debt. I think anyone that works hard and is smart with their money can graduate with a manageable amount of debt, which can be paid off within 2-5 years after training, but please acknowledge that you are a special individual if you are able to graduate med school with no debt whatsoever. Quite remarkable that you are graduating debt free, congrats! This is not a reasonable expectation for the vast majority of even the most keen of medical students, however. The most important aspect to minimizing med school debt is to attend your state school, which requires hard work and some luck. Very, very few places will grant full tuition remission for a family member employee and having an immediate family member who happens to work at your school also requires some circumstantial luck. In regards to #3 I sit on the admissions committee for the med school; we absolutely do look at the undergraduate credits and use a point system for gpa based on perceived rigor. While we do occasionally get exceptional candidates who did their pre-recs at community college, this is the exception and not the rule. I would strongly caution anyone to choose a community college for cost alone. This is an interesting case study, but perhaps more apt advice for an incoming student might be: attend state med school if possible; apply broadly for scholarships; and “live like a med student”. You can do everything right and still have $200k+ in loans, and that’s ok. Yes, $200K should be fine for anyone that matches. Even on a pediatrician’s salary that should only be about 3 years of living like a resident to pay them off.